It’s the bottom of the ninth inning of game seven of the World Series. You are at bat, and a fastball is headed for the plate. What would be the best thing to do? A. Hit the ball over the centerfield wall for the winning home run. C. Pop the ball up to the shortstop. D. Stroll into the stands and buy some peanuts. It’s easy to say “A.” To actually do it will depend on habit-skills developed by practicing. And practicing. And practicing. 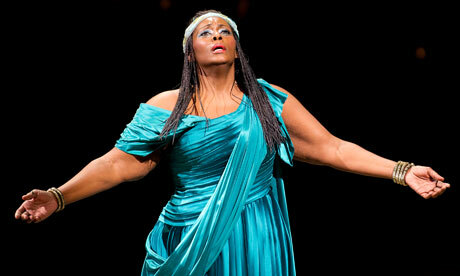 You’re standing on the stage of the Metropolitan Opera dressed as Aida. The orchestra is playing the intro music. What’s the best thing to do? Belt out a stunning aria that brings the house down, or stroll into the audience and buy some peanuts? A little boy is running toward you crying, blood running down his shin from a scraped knee, and he’s calling you Mom. You recognize that he is not in error about you being his Mom. What’s the best thing to do? Pick him up, speak soothing words, sing his favorite song as you move toward a sink and a cloth to wash the knee – or look around for where you can get some peanuts? No one can be a good hitter, singer, or Mom without practice – without developing the habit-skills. We can all pick out the best answer on paper -- but we can’t execute unless we’ve practiced. A lot. Some of that practice can be purely mental – even for skills that seem largely physical. When researchers asked people sit still and focus on imagining themselves throwing a basketball throw a hoop from the foul line, those people’s free-throw shooting percentage improved as much as the people who spent the same amount of time practicing actual free-throw shooting. Mental practice really counts. The thing is, in life, I often don’t get the chance to do specific practice, mentally or physically. I have to rely on general habits to guide me in specific situations. I can’t imagine beforehand the specific situations I’m going to find myself in. So what I need to do is cultivate a general generosity of spirit – a general generosity that will carry over into unforeseeable specific situations. I don’t know what practices that woman on the subway used to develop the habits of the generosity of spirit she so obviously had. Most of us have a rather different habit: hold on to your stuff. When we were children, we got scolded for losing things or leaving them unguarded where they could get stolen. The message: hold on to your stuff. Don’t lose it. Keep up with it. Guard it. That certainly became a very ingrained habit-skill for many of us. So when there’s one glove in your hand, and the other glove on the seat of the train, the habit of holding on to your stuff will take a few seconds to unpack – and by that time it’s too late. The doors are closed. Develop your generosity muscles by exercising them, by performing generous acts. Also, for some really helpful "cross-training," include gratitude practice. Generosity and gratitude are mutually supportive. My guess is that the woman on the subway had a deep sense of thanksgiving for life and experience. When gratitude pervades life, it loosens the impulse to cling and facilitates generosity -- which, in turn, facilitates greater gratitude. To develop the habit-skill of thankfulness, simply to take a moment each day to name five things you’re thankful for. For example, here at the Unitarian Universalist Fellowship of Gainesville, I’m am so grateful for the commitment of our leaders, the imagination and vision that motivates this place, the wonderful staff I have to work with, all the Unitarian and Universalist forebears through the centuries that created what I could never have invented, and the Gainesville founders in the fifties and sixties who laid the groundwork for this fellowship – the groundwork upon which we now stand. Those are some things for which I’m grateful. You? Part 4 of 4 of "Celebrate!" Previous: Part 3: "The Thing to Do With One Glove"